The full count of pixels on a camera's sensor. The amount of pixels on a camera sensor that are used when an image is captured. Although sometimes smaller than the total pixel count, it is an insignificant difference. 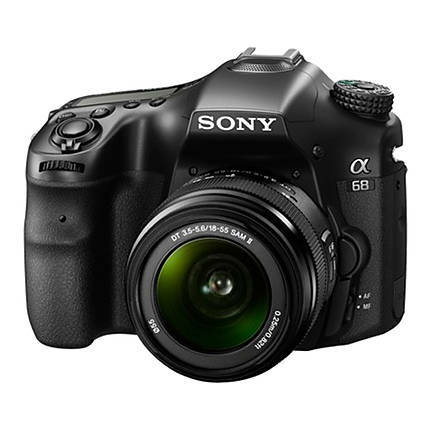 The Sony Alpha a68 DSLR Camera with 18-55mm Lens ILCA68K is an entry-level offering packed with top-of-the-line features usually seen in premium models. 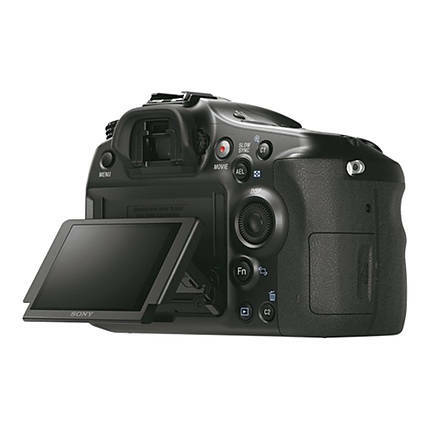 It has a 24.2 MP APS-C Exmor CMOS sensor and BIONZ X processor that provides excellent quality even at sensitivities up to ISO 25600. The camera supports full HD video recording at either 24 or 30 fps and includes SteadyShot INSIDE image stabilization. 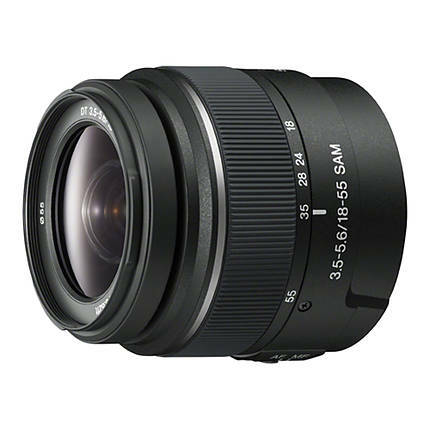 The a68 camera comes with the DT 18-55mm f/3.5-5.6 SAM II lens, which is a portable standard zoom lens. 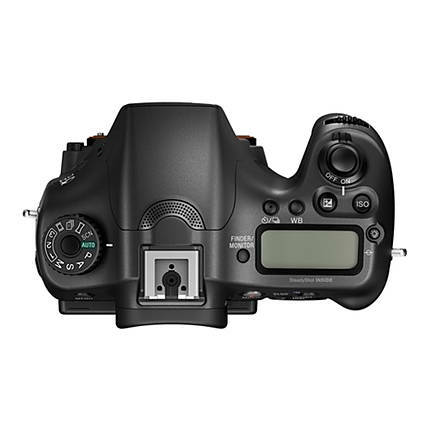 It provides a 35mm equivalent focal length of 27 to 82.5mm for excellent wide-angle to portrait length coverage. The lens integrates two aspherical and one extra-low dispersion glass elements to reduce chromatic aberrations and provide better image sharpness, clarity, and contrast. It also includes a refined rear lens element to minimize internal reflects and prevent ghosting. 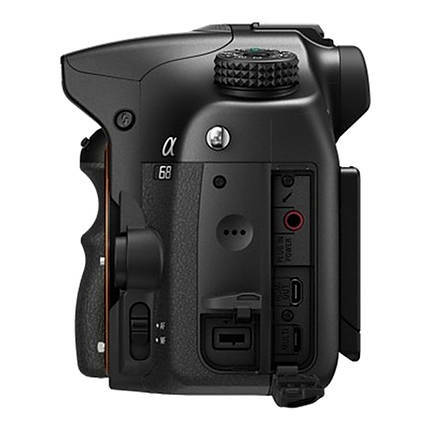 The lens has an integrated Smooth Autofocus Motor (SAM) system for precise and quiet autofocus capabilities. 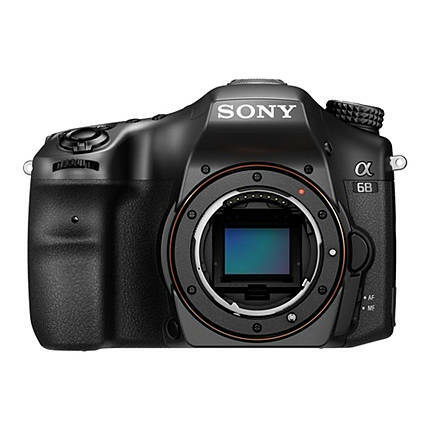 Complementing the SAM system of the lens is the camera’s 79-point autofocus system, which provides excellent autofocus performance even when lighting conditions are as dim as -2 EV. 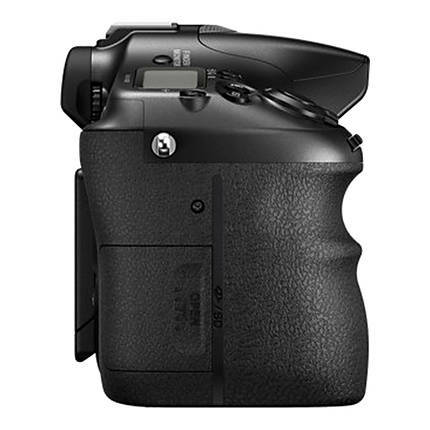 It has 15 cross-type points for better subject tracking and various autofocus modes to capture the perfect shot. The camera has a Translucent Mirror Technology that allows the mirror to direct light to the sensors continuously for better phase and contrast detection focusing. 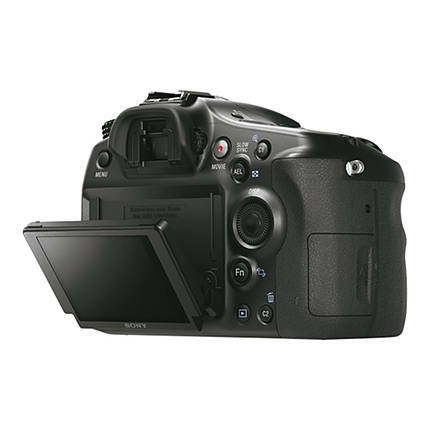 The SteadyShot INSIDE image stabilization system, which works with any mounted lens, helps to eliminate the appearance of blurring due to camera shake. A BIONZ X image processor and 24.2 MP APS-C Exmor APS HD CMOS sensor work in conjunction to deliver high-resolution images with minimal noise. A gap-less, on-chip lens design on the sensor allows it to fill the gaps between neighboring pixels and increase light gathering ability as well as edge-to-edge sharpness. The EVF of the camera is a 0.39-inch 1,440k-dot XGA OLED Tru-Finder that provides complete frame coverage with a high eye point, broad viewing angle, and precise color representation. The a68 has a 2.7-inch 460.8k-dot LCD with a tilting design that is useful when working from high and low angles. 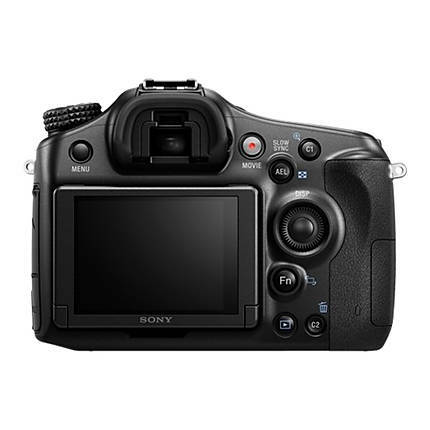 With a 24.2 MP sensor, the camera can click still images up to a maximum resolution of 6000 x 4000 pixels. It also supports full HD 1080p video recording at 24 and 30 fps. Full HD videos utilize the high-quality 50 Mbps XAVCS format while 1440 x 1080, 1280 x 720 and 640 x 480 videos use the MP4 format. 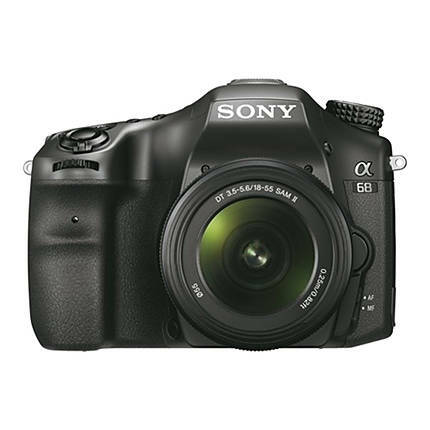 The Sony Alpha a68 DSLR Camera with 18-55mm Lens ILCA68K includes a multi-interface shoe that allows you to mount a range of accessories including external flashes, video lights, and external microphones. An Auto Object Framing mode automatically analyzes the scene and subject and determines an aesthetically pleasing composition. The camera also has an advanced 1200-zone evaluative exposure metering sensor to deliver consistent and accurate results. The ISO speed setting dictates sensitivity to light. The higher the ISO speed, the more sensitive the film or digital sensor is to light. Higher ISOs have the effect of noise in an image. The actual ISO at which the noise occurs varies from camera to camera. Low ISOs are generally used for brighter lighting conditions and high ISOs are often used for low light or action shots. Refers to the relative warmth or coolness of white light. Color temperature is conventionally stated in the unit of absolute temperature, the kelvin, having the unit symbol K.
Also referred to as release modes, cameras often have several different modes in which they will capture images including: single shot, continuous drive (low and high), self timer, and mirror lock-up. The types of files that a particular camera produces. All cameras output JPEG images, but some of the more sophisticated models will shoot in RAW mode. RAW Image Formats will vary based on manufacturer.